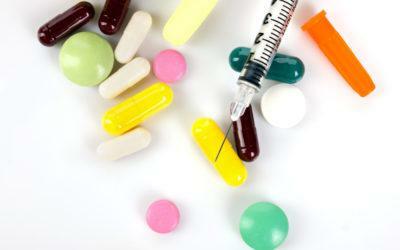 If you have Type 2 diabetes, chances are, you’ll be prescribed an oral diabetes drug fairly soon after your diagnosis. At some point in the course of your treatment, you and your doctor may also decide to add insulin or another injected diabetes drug to your treatment plan. When deciding what drugs to prescribe or recommend prescribing, your doctor will most likely consider their track record of safety, effectiveness, side effects, how easy they are to take, and possibly what they cost. But another important aspect of drugs may be often overlooked: how likely you are to actually take them as prescribed. In a recent study, researchers looked at how often patients took diabetes drugs as prescribed — covering both oral and injected drugs. Published in the journal Diabetes, Obesity and Metabolism, the study examined previously published data comparing two or more drugs used to lower blood glucose for Type 2 diabetes. They found a total of 48 such comparisons in their search. Across all available data, the researchers found that people were more likely to take sulfonylureas and thiazolidinediones than metformin as prescribed — by a difference of 10.6% for sulfonylureas, and 11.3% for thiazolidinediones. When compared against each other, thiazolidinediones were also a bit more likely to be taken as prescribed than sulfonylureas, with a small difference of about 1.5%. When it came to injected drugs, the researchers looked at rates of discontinuing the medicine rather than adherence to taking it as prescribed. They found that people taking GLP-1 agonists (also known as incretin mimetics) were nearly twice as likely to discontinue their treatment than people who took long-acting insulin analogs. People who took long-acting insulin analogs were also more likely to continue on them than those taking human insulin, with an average difference in length of treatment of 43 days. It’s difficult to draw any firm conclusions on how likely people are to stick with a drug they’re prescribed based on this study, for a variety of reasons. One such reason is that the data analyzed in the study often used different methods to compare drug adherence — with some looking at rates of taking a drug as prescribed, others looking at rates of discontinuing, and yet others looking at length of treatment before discontinuing a drug. Another reason is that the study offers few clues regarding why people either kept or stopped taking a drug, or did or didn’t adhere to their dosing schedule. Without such clues, it’s impossible to know what factors will be most important in determining why someone does or doesn’t feel comfortable taking a drug. It’s possible to speculate, of course, that people stop taking drugs — or take them less often than prescribed — due to difficulty administering them, lack of effectiveness or unpredictable effects, or undesirable side effects. Have you ever stopped taking a diabetes drug, or taken it less often than your prescription indicated? If so, why did you do this? Do you think doctors and other health professionals can help patients stick to their treatment plans by adequately preparing them for what taking a drug will be like? Is some amount of people stopping and starting drugs inevitable, as people figure out what works for them? Leave a comment below!